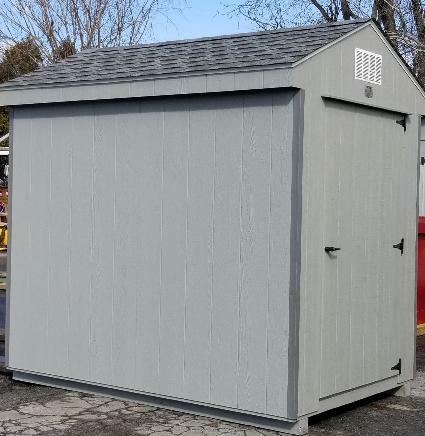 This is a stock 6' x 8' Value Workshop in LP Smart Panel painted light gray. The trim is dark gray and the shingles are Pewter Gray. There is a 4' single door and a pair of metal peak vents. We added a diamond plate sill at the doorway.